Graham is Information Resources Manager at the University of Huddersfield and has 17 years’ experience in working in academic libraries. He is responsible for the Library information resources budget, the management and operation of the Acquisitions and Journals and Electronic Resources Teams and University Repository. He is also leading the University of Huddersfield Press initiative. 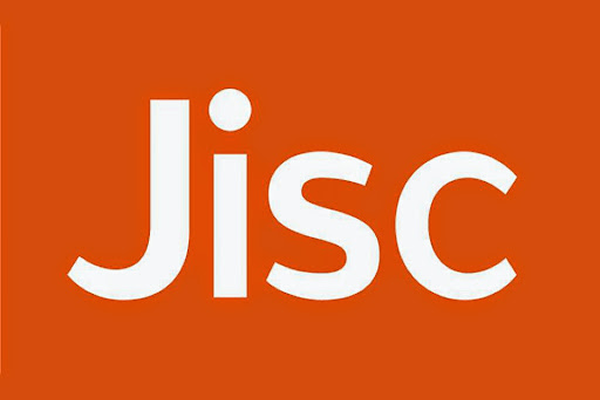 Graham has managed a number of JISC funded projects including the Library Impact Data Project and the Huddersfield Open Access Publishing project. He is UKSG Secretary and a member of the Serials editorial board, the Electronic Information Resources Working Group (EIRWG), the PALS metadata and interoperability working group and chair of the JISC Collections Journal Archives Advisory Board. He is editor-in-chief of E-Resources Management Handbook, an OA e-book, and co-author of the University’s 25 Research Things web 2.0 course. Dave Pattern is the Library Systems Manager at The University of Huddersfield, with responsibility for the continuing development of the web services and facilities provided by the library. A web developer with over 15 years of experience, he previously worked for a major UK library book supplier before joining Huddersfield as the lead developer on the JISC funded INHALE and INFORMS projects. In 2004 he was appointed to his current role and has been responsible for incorporating a variety of 2.0 enhancements into the OPAC and developing in-house services, as well as setting up weblogs and wikis for the library. He is a committed “2.0″ advocate and was thrilled to be named as one of the “2009 Movers and Shakers” by the Library Journal and is the 2011 Information World Review “Information Professional of the Year”. Ellen is the Research Officer at the Research Information Network, where she has initiated, developed and managed projects on areas including researchers’ use of web 2.0, disciplinary information practices, usage of data centres and information handling in collaborative research. Prior to joining the Research Information Network, she worked for the Museums, Libraries and Archives Council, managing a major project on knowledge transfer in cultural institutions. Steered the initial work at Huddersfield on library usage data and an advocate of collaborative working and data sharing between libraries; the latter exemplified by participation in HEA Change Academy project on library shared services. Involved at strategic level in previous JISC projects INHALE, INFORMS, and Climbié Inquiry Date Corpus Online project. Alison has worked for just over two years the as the Academic Librarian at the University of Huddersfield working closely with the Schools of Business, Computing and Engineering. She was previously an Academic Subject Librarian at the University of Lincoln overseeing the subject of Business and Management. She has 18 years experience of working in Higher Education. Alison is also the Training Events Officer for the Business Librarians Association and the Marketing Officer for UC&R Yorkshire and Humberside. She is currently studying for an MSc in Multimedia and eLearning. Andrew is a researcher practitioner, whose research has largely focussed on improving the teaching of information skills, especially via the development and introduction of innovative and original means of information literacy instruction. Most recently, Andrew has initiated, and is leading on, a social game based learning project suitable for both mobile and desktop use. Called “Lemon Tree” this was the first game of its type in UK libraries to be launched (October 2011), and aimed to increase the use of library resources through a mixture of online social networking and game style rewards. Andrew is a University teaching Fellow and a National Teaching Fellow. Catherine is currently Acting Academic Librarian for Art, Design & Architecture, Applied Sciences and Human & Health Sciences and has worked at the University since 1997 in a variety of roles. Her current responsibilities include managing a newly merged Subject team, co-ordination of the Subject Enquiry Desk and she is an active member of the Roving Librarian group. She is also Events Co-ordinator for the national JIBS User Group which serves the interests of e-resource users in Research, Higher and Further Education Libraries. Bryony is a Subject Librarian in the Human and Health Sciences subject team at the University of Huddersfield. Bryony has worked at the University Library for almost 10 years in various guises, including as a research assistant on an internally funded library project investigating learning space use, and is currently working on a PhD based on the results of the data. Bryony was the research assistant on Phase 1 of the project. Lisa is Subject Librarian for the School of Applied Sciences and a member of the original non/low use project at Huddersfield. Martin is currently the Subject Librarian for Accountancy, Law and Informatics at the University of Huddersfield where he has worked for the last 4 years. He graduated earlier this year from the University of Sheffield with a Masters in Librarianship and his dissertation can be found via the University of Huddersfield repository. As part of his dissertation and the Summon JISC Project, Martin conducted some focus groups to examine students’ search behaviour and to explore participant’s initial responses to using Summon as a resource discovery tool. Eszter studied at Eötvös Loránd University, Budapest and achieved two MA qualifications in American Studies and in English Language and Literature with TESOL Qualifications in 2002 and in 2003. She has been living and working in the UK since 2002. She worked at Salford University in the School of Languages between 2003 and 2005, but she has been employed as School Student Support Officer at the University of Huddersfield since 2005. Since September 2011 she is also the manager of the newly opened Student Support Centre in the School of Human and Health Sciences. Her main role is to provide welfare support to students in the School, but she has also conducted numerous focus group discussions and exit interviews with students in order to find out more about the students’ experiences and also to gain information as to how progression and retention rates could be increased among students in the School. Manager of the Library Electronic Resources Team and the University Repository. Graham has been Project Officer for the JISC funded projects the University of Bolton Institutional Repository and the Climbié Inquiry Date Corpus Online project. Dave Pattern is the Library Systems Manager at The University of Huddersfield, with responsibility for the continuing development of the web services and facilities provided by the library. A web developer with over 15 years of experience, he previously worked for a major UK library book supplier before joining Huddersfield as the lead developer on the JISC funded INHALE and INFORMS projects. In 2004 he was appointed to his current role and has been responsible for incorporating a variety of 2.0 enhancements into the OPAC and developing in-house services, as well as setting up weblogs and wikis for the library. He is a committed “2.0” advocate and was thrilled to be named as one of the “2009 Movers and Shakers” by the Library Journal and is the current Information World Review “Information Professional of the Year”. Steered the initial work at Huddersfield on library usage data and an advocate of collaborative working and data sharing between libraries; the latter exemplified by current participation in HEA Change Academy project on library shared services. Involved at strategic level in previous JISC projects INHALE, INFORMS, and Climbié Inquiry Date Corpus Online project. Bryony is Assistant Librarian in the Human and Health Sciences subject team at the University of Huddersfield. Bryony has worked at the University Library for almost 10 years in various guises, including as a research assistant on an internally funded library project investigating learning space use, and is currently working on a PhD based on the results of the data. Systems Librarian at Bradford University since 1990, and manager of the Systems and E-resources team and the Acquisitions team. Led the implementation of Millennium, and was closely involved with the JISC-funded Bradford Scholars institutional repository project. Senior Assistant Librarian (Electronic Services Development). Phil is based within the Library’s Web Services Team and has considerable experience of systems and e-resource management, including responsibility for the administration of Athens accounts and the extraction of usage data. He is a member of the LOCKSS Steering Committee, with responsibility for technical development, and was previously involved in the EduLib project. Senior Assistant Librarian (Academic Services). Currently responsible for Business and Law, Marie is an experienced subject librarian whose portfolio also includes responsibility for Management Information. With a track record in analysing data, Marie also has considerable experience of e-Learning and is currently undertaking the University’s Certificate of Professional Development (UCPD) in Web-Enhanced Practice. Kate is the E-Resources & Serials Team Leader at the University of Exeter with responsibility for managing the Library’s print and electronic journal subscriptions and electronic resources. She is also involved with the Library’s Communications and Marketing Group. Paul is the Electronic Resources Librarian at the University of Lincoln. Paul manages all of Lincoln’s electronic library resources and systems, including the Lincoln open-access repository (EPrints). He is a regular contributor to the ‘Mashed Library’ series of events, and managed Lincoln’s successful contribution to the JISC-funded MOSAIC project in 2009. Research and Learner Support Officer, Library and Student Support. Sarah has 10 years experience at LJMU of e-resource management, including responsibility for the administration of e-journals and resources, SFX and Metalib, Athens accounts and the collection and reporting of usage data. Head of Business and Planning, Library and Student Support. Leo is an advocate of collaborative working and data sharing, particularly within the area of service usage and satisfaction. He has been involved in a number of change projects and JISC technology projects within Further and Higher Education. Collections Manager, The Library. Regina manages the purchasing and access of print and electronic collections for all library sites, including reading list material on the University’s online reading list system, LaSU. She is responsible for providing management reports to assist with service development and resource purchasing. Regina is currently involved in the SCONUL ERM project as part of the SALFMERI project team. Customer Support Manager, the Library. Dominic manages the Library’s Customer Support Service and Staff which operate an enquiry service across three library sites. He also has responsibility for producing high level management reports on Library activity and usage by students which influence service and space planning. Dominic also has specific project related responsibilities and works with stakeholders from across the University. Deputy IT Systems Manager, Habby has worked in Library ICT support for 13 years and has recently taken over full responsibility for all Library related ICT services including Talis, SFX and MetaLib. For the past 3 years Pia has been a journals assistant and is currently working towards a Masters degree in Library and Information Science. Her dissertation will explore student use of electronic resources, hence her interest in being involved with this project. A steering group will be set up of senior University staff, including a data protection expert and other external or partner representation as appropriate.